In the time between Tuesday's presidential race being called and Barack Obama taking the stage at Chicago's McCormick Place, the president made and received two very important phone calls. "He spoke with President Clinton. He wanted to call President Clinton after Gov. [Mitt] Romney called because President Clinton was valiant on behalf of this campaign, and, as the president said, [was] our most valuable player," Obama 2012 Chief Campaign Strategist David Axelrod said Wednesday in offering a glimpse into the president's election night. "He really wanted to share the moment with him," Axelrod said. 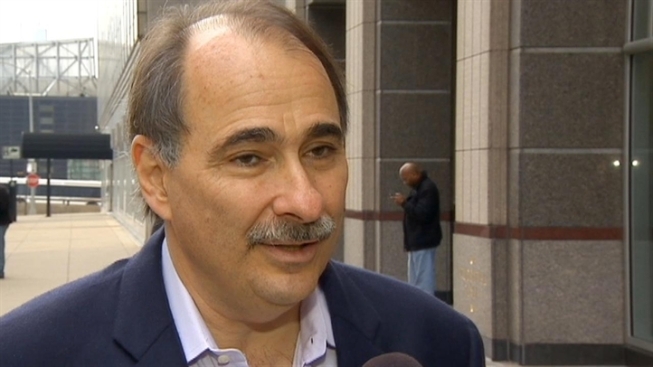 For the most part, Axelrod said Election Night was mostly stress-free. The political guru who helped guide two successful presidential campaigns for Barack Obama is leaving the game. "The tense time if before the votes start getting counted," he recalled. "As soon as the votes start getting counted, you have models. You can see where the votes are coming in from. We knew very quickly that it was going well." After a night's sleep at his Hyde Park-Kenwood home, an invigorated and newly re-elected President Obama stopped by his 2012 campaign headquarters in the Prudential Building to meet with the hundreds of volunteers who helped in the effort to secure another four years. "It was a really emotional visit," Axelrod said. "There were a lot of tears flowing up there and a lot of joy." Some of the staffers stood on desks to get a better glimpse of the president as he spoke to those who, as Axelrod said, "worked their hearts out." "He talked about what public service means ... I think the most powerful thing he said was he talked about his own career as a young community organizer and he said to them what inspires him so much is, 'You're so much better than I was. You know so much more,' and he said, 'You give me hope.'" For Axelrod, it was his last hurrah in politics. Back in January, Axelrod announced that he would head to the University of Chicago to create a new Institute of Politics meant to rival the Harvard Kennedy School. The University of Chicago Institute of Politics opens officially in 2013, but began offering preliminary courses in Summer 2012.